Awesome things to do in Hawke’s Bay in Summer! Life in Hawke’s Bay is best enjoyed outside. The climate in the region is generous and offers plenty of sunshine hours that you will surely want to see a lot of. 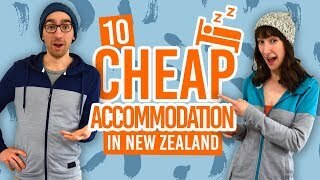 Despite being extremely accessible, Hawke’s Bay is a region that is often overlooked by backpackers – shameful! There are a lot of ways to make the most of summer in Hawke’s Bay. The landscape is so diverse that in only one hour you could get from the top on a misty mountain to a sandy beach sipping on a glass of delicious local wine. Speaking of, the region produces a considerable amount of New Zealand’s wine and, to do so, requires a lot of helping hands. (That’s you, backpackers!) And who wouldn’t want to work in this paradise? It is stunning, warm, welcoming and has a fascinating Maori history. The best time to enjoy Hawke’s Bay is definitely summer, where the great outdoors is a treat to explore. We have compiled below what we think are the best ways for any working holidaymaker to make the most of the summer in Hawke’s Bay. For more things to do in the region, check out the Hawke’s Bay Guide. Hawke’s Bay offers both challenging and very easy cycle trails. One of the most popular is actually called “The Big Easy Cycle Ride” that will take a whole day to complete at a very relaxed pace. Don’t hesitate to stop along the way, this trail is meant to be enjoyed slowly. For the foodies amongst you, what about the “Wineries Ride” too? Ranked as one of the TOP 40 best golf course in the world, the Cape Kidnappers golf course is a must-visit for anyone that has any interest in golfing. The scenery is simply breathtaking and the course is quite challenging. For those that cannot afford this kind of luxury, Hawke’s Bay is home to over 20 other golf courses that will be more affordable and make for a great day out. The Hawke’s Bay hiking tracks are, in most cases, easy to access and very well maintained. One of the biggest magnets for backpackers is the the Lake Waikaremoana track, one of the 9 New Zealand Great Walks. Some of the other areas worth exploring are the Ruahine Ranges, the Maungaharuru Range and, of course, the spectacular Sunrise Track in central Hawke’s Bay. The river offers all levels of rafting from the grade 2 for kayaks to the grade 4/5 for an intense rafting session. This is a great spot to raft away from the crowds of other North Island locations in a place that feels untouched when rafted through. Pick one of the longest riding options to be challenged in the most spectacular gorges of the North Island. The Hawke’s Bay coastline is dotted with what seems to be hundreds of tiny beaches – most of which are totally safe to swim in, while others have decent surfing waves. Some are more popular than others like Ocean Beach north of Hastings. There are great camping options on several beaches like Porangahaum Pourerere and Kairakau Beach. The picturesque region begs to be explored by any means possible. You’ve hiked, you’ve biked, now it’s time to horse trek. Most rides are done in very very small groups, which will open the door to a great personal experience and some really fun times like riding in the water! Because every backpacker and working holidaymaker is on a tight budget, you’ll probably have to get working at some point. But working does not have to be a struggle in a city. What about working in a stunning vineyard surrounded by spectacular mountain ranges? You’ll learn how to create the liquid gold otherwise known as the award-winning Hawke’s Bay wines! See if we have any vineyard work listed on our jobs page. One of the biggest events in Hawke’s Bay every week is the Hawke’s Bay Farmers Market. The market can be found in Hasting every Sunday morning where it’s best experienced in summer. There’s nothing like sitting down with a real fruit ice cream, mingling with the locals and listening to live music. Get lots of free tastings and pick up some souvenirs of New Zealand. 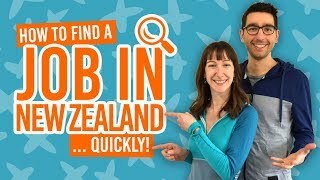 Want to do more in Hawke’s Bay?